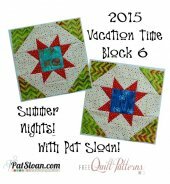 Download Vacation Time BOM Materials List and This Month's Block Pattern! Click Here to download the PDF of Pat's materials list for the BOM. NOTE: If the document doesn't display properly for you, there may be a problem with your browser's PDF viewer. From the viewer window, there is a download button that will let you save the PDF to your computer, where you will be able to view and print it just fine. Thank you for joining me and making my Free Mystery quilt, Vacation Time! June brings in block 6 to the mystery is 'Summer Nights'. In June we can finally sit out as the nights are warm and the sky is so inviting! Even during a work day, a summer night feels like a bit of a vacation from everyday. You can grill outside, take a break in the yard, then sit under the stars and relax. When I'm on vacations I love to relax in the evening outside looking at the stars. If I'm a bit out in the country, or on a cruise, the night sky is so expansive and the stars sparkle more than in my home in the city! In the pattern I've included a mock up of how the block looks in a larger 6 x 6 block setting. 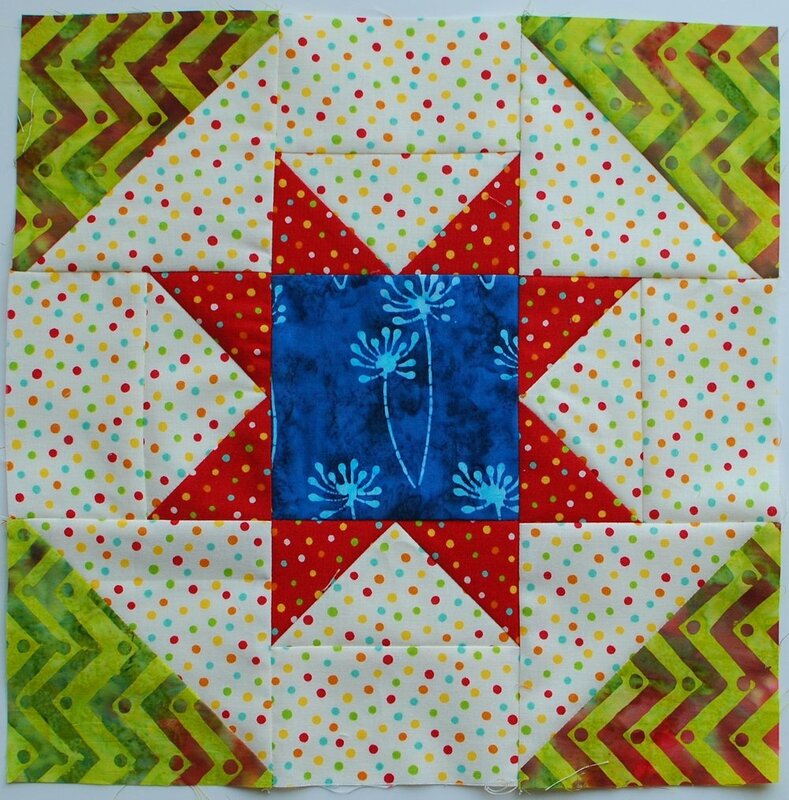 It's a really fun block to repeat for a full quilt and I can see it done scrappy! Everyone that knows me, knows I love warm weather. I spend as much time as I can outside and a summer night is so wonderful! I believe it started when I was a kid, and we used to catch fireflies. My grandmother gave us a coffee can with holes poked in the lid, because of course they needed to breath! Then my brother and I spent endless hours running around the back yard capturing those fireflies in the cans. We then placed them by the door and went in for the night, magically they were ALWAYS gone when we woke up in the morning. I had the best grandparent.. right? Now days I love my summer nights in my own yard, or when I take vacation, the evening is the BEST time. We often book rooms where we have a balcony and sit out in the evening to listen to the night. 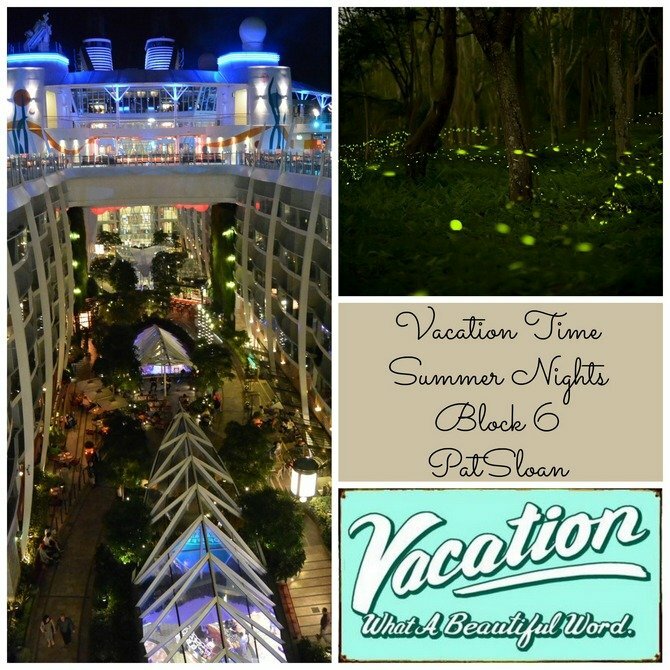 When take a cruise vacation, walking the ship at night is just magical. There are lights and the sky so so amazing. On one ship the front heliport was open. We had a super calm sea and it was great to be at the front and sew the wide open sky. What do you love about Summer night? Let me know in the comments! I'm using my 'One for you One for Me' fabric from Moda. Find a list of shops that have my fabric by clicking here. 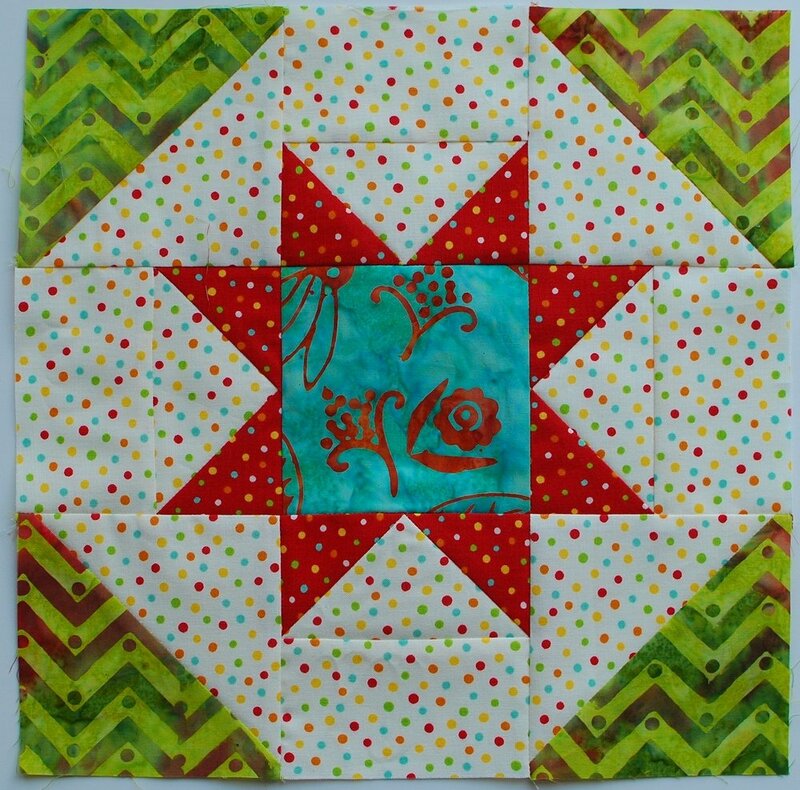 Visit my blog post for the latest and see all the blocks together! Also, visit my post about Block 6 where I give you a little insider look by clicking here. And if you want to see a photo tutorial of trimming using the tool, I have one at this link. Many of you have joined me at my quilt group on Facebook called Quilt with Pat Sloan. We are sharing our Globetrotting blocks and MUCH MORE! Everyone has been showing the quilts they are working on, asking for help and advice, and having more fun than you can have at any spot on Facebook.. so join me by clicking the link above. We have a Flickr page for sharing photos. Click the link below to go to the group page and become a group member for free, then you will be able to upload pictures of your own materials selections and the blocks that you create throughout the BOM. If we have not met yet... it's super nice to know you!... Click here to learn about me. What do you think of this block?